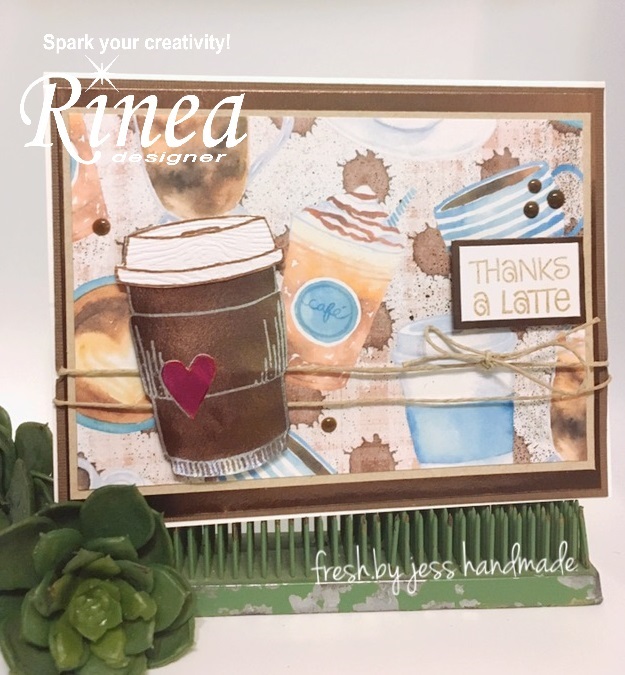 It's an exciting month at Rinea this month - we are teaming us with the amazing Crackerbox & Suzy Stamps! They have such cute stamps - I know you will want to check them out. 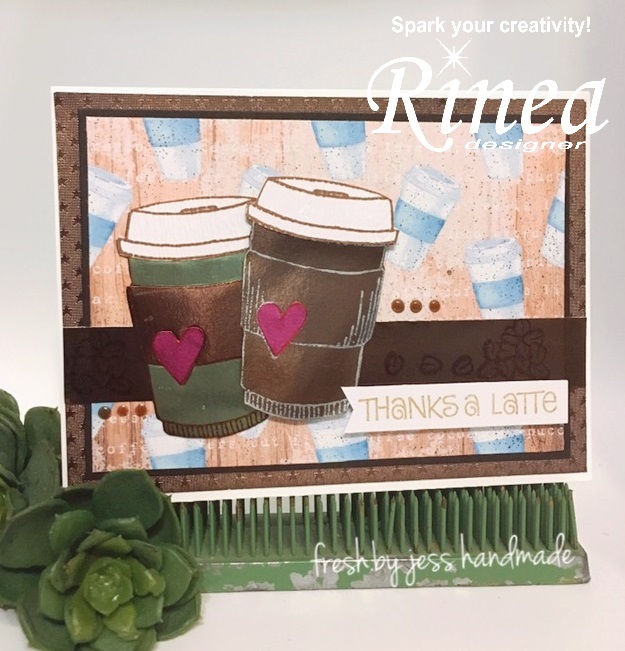 I have used the Coffee Cup Heart and Coffee Bean Pile from Crackerbox & Suzy Stamps along with the Woodland Variety Pack (NEW) - which includes: Mocha/Gold Glossy Solid Foiled Paper, Mocha/Mocha Starstruck Solid Foiled Paper & Jade/Gold Glossy Solid to create these fun cards! I used the Ghost Ink to stamp my coffee cups and then fussy cut some pieces to create the cups. Thanks for popping by! See you again next time.